A national bank has announced that it will become one of the first in Australia to be fully compliant with Comprehensive Credit Reporting obligations. 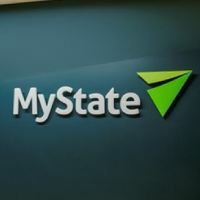 MyState Bank is now one of the first banks to have 100 per cent of its positive consumer credit data ready for reporting. Under the CCR regime, positive credit history, such as on-time loan repayments will also be recorded on an individual’s credit report. This is a shift away from previously where only negative information such as missed payments was recorded. The consumer focused changed is to allow customers to take control of their credit reputation and to give banks and other credit providers a fuller credit profile. The regime is partially mandatory for the major banks who are required to share 50 per cent of data with credit reporting bodies, which will shift to 100 per cent by September. MyState Bank’s managing director and chief executive Melos Sulicich said future customers were the biggest beneficiaries of the move to more transparent credit reporting. “Overall, customers can expect a more accurate credit score reflective of their actual behaviour. For instance, if a customer has missed one or two payments in a long credit history they are unlikely to be unnecessarily penalised,” said Mr Sulicich. Mr Sulicich said the move put the bank in the best possible position to continue to deliver quality products to customers.